New to the Trombone History Timeline (19th century, 2nd half) is the below caption and image. It reflects both the interest in valve trombone and the trend of instrumental innovation in the 19th century. 1860—Florence, Italy: Giovacchino Bimboni (1810-1895) is appointed professor of trumpet and trombone at the Cherubini Conservatory. He later writes a valve trombone method, Metodo per trombone a piston, between 1880 and 1889. 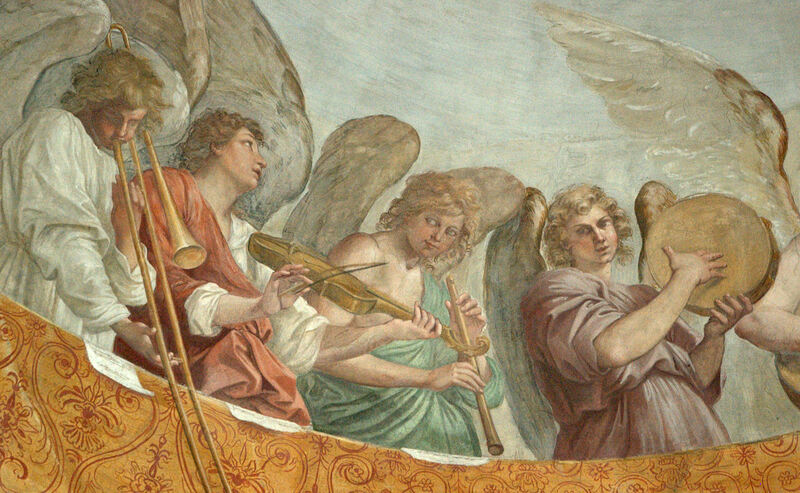 Bimboni also invents a valve trombone called a Bimbonifono in which a separate rotary valve is used for each of the seven slide positions in an attempt to avoid the tuning problems of other valve systems. 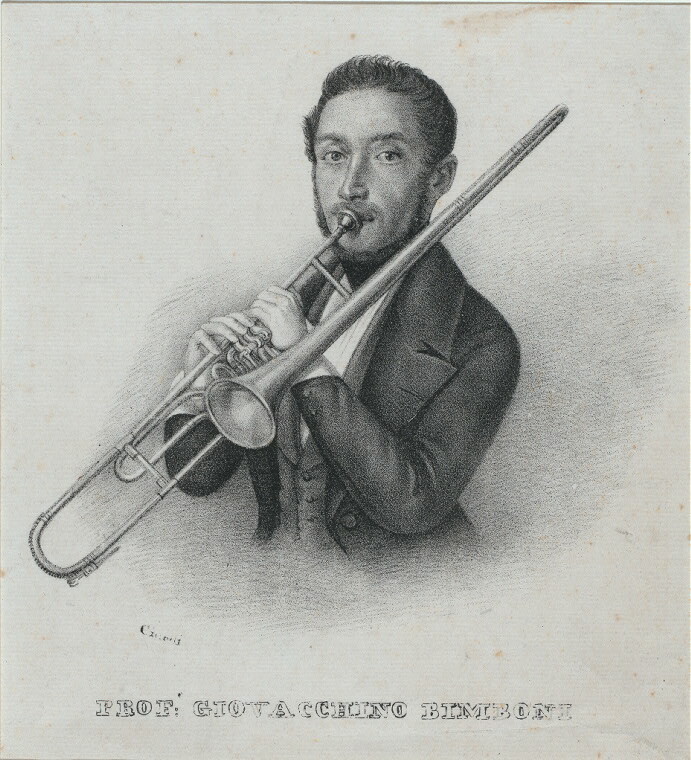 Below, a print by lithographer Giuseppe Ciardi shows Professor Bimboni with a valve trombone (see below image; public domain) (New York Public Library Digital Collection; Herbert, The Trombone 131, 332).